The Environmental Working Group (EWG) recently announced the 2019 Dirty Dozen list. The EWG dirty dozen are those fruits and vegetables most contaminated with pesticides and herbicides that might be harmful to your health. The biggest surprise here is Kale, now part of the dirty dozen, meaning, if you want to eat kale, eat it organically. Chemicals used in pesticides for Kale are possible carcinogens. Here’s the list from the EWG. Unlike the word “natural” which is not regulated, the label “organic” is. Congress passed the Organic Foods Production Act in 1990, which led to the National Standards on Organic Agricultural Production and Handling rule in 2000. Today the organic industry is regulated by The National Organic Program (functions within the USDA). The word “natural” when applied to meat, poultry, and eggs, is regulated by the United States Department of Agriculture (USDA) stating that a “natural” food contains no artificial ingredient or added color and is only minimally processed. “Natural” in meats, poultry, eggs, etc does not mean hormone or antibiotic-free. The “Organic” label for livestock products means the food they eat is organic (as defined above) plus with the freedom to move around, have access to fresh air and sunlight. Here’s the catch; you can eat organic beef where the animal’s feed before sacrificed for food eats organic corn and soy, not grass. The best diet for cows is grass and hay, not corn and soy, even if organic. That’s why the best source of beef is that from grass-fed, not only organic. Are Organic Foods Worth the Extra buck? The higher cost for organic foods might be worth it, but it can be up to 80% more than conventional foods. But let’s get right to the point; is organic food better, yes or no? The word “Organic” unlike the word “Natural” actually means something in food production. Foods containing plant-derived substances like sweeteners, for example, can be labeled natural. List of “natural” labeled foods include; highly processed high fructose corn syrup (HFCS) and foods containing genetically engineered or modified (GMO) ingredients. Although far from an exhaustive list of what can be labeled a “natural” food, these are a few examples of how “natural” may mean something different than you think. Organic food is seemingly more nutritious; contain more protective antioxidants, contain 4 times fewer pesticides and lower amounts of unhealthy metals like cadmium. 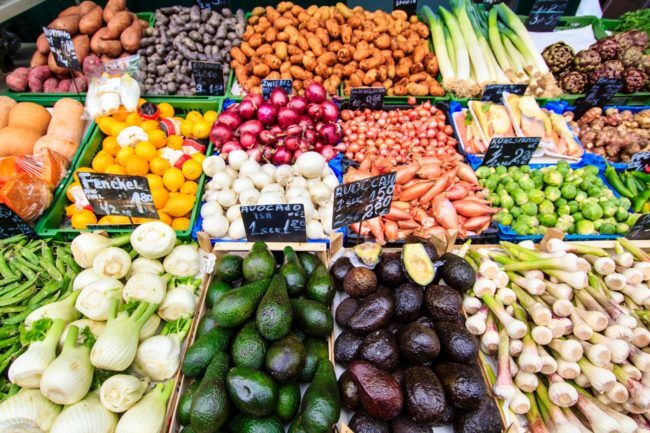 While not everything that’s labeled organic is healthy or local, buying organic produce, especially the dirty dozen foods (really dirty 15) may be worth the extra buck. Don’t be cheap with your food. OK, that’s nice that organic food has more anti-oxidants and less unwanted chemicals in them, but is it healthier for you? A recent study from the Journal American Medical Association (JAMA) showed an association with less cancer risk and the consumption of organic foods. This study looked at close to 70,000 adults for nearly five years and showed that those who ate more organic foods had a 25% lower risk of getting cancer. Three possible culprits were discovered to be associated to cancer risk in pesticides used to spray food crop: glyphosate, malathion, and diazinon. While I promote the consumption of organic food, mainly fruits and vegetables, not all organic food is good for us. For example, organic packaged dry products such as cookies, and breads, etc. are still crappy foods. Bad food is bad food – it being organic does not always make it healthier. Eat local foods from nearby farms or farmers markets if they are local and organic – great. If foods are not labeled organic, it still might be, but small farms are reluctant to play the political “organic” game. Don’t be fooled. Just because something is organic doesn’t necessarily make it better for you. Packaged organic products are NOT healthier. Real organic foods – are natural foods (right from nature), with organic farming practices and if possible, from a local farm. Eat the top “dirty 15 foods” organically, don’t worry much about the others. Again, don’t be fooled. Just because something is organic doesn’t necessarily make it better for you. Packaged organic products are NOT healthier. Fruits and vegetables are. Does soaking fruit and vegetables in vinegar and bicarbonate Soda help to remove the pesticides? Yes it does. That is a good approach. Next Post: Red Meat & Prostate Cancer: What the Science Really Says!